I have 2 Yoga 13 laptops in my extended family, one purchased in October 2012 at first release, and another in November 2012. Both have been pretty smooth sailing with Windows 8, although the orientation sensor has been oddly more problematic on one than the other, despite using the same drivers. Read more at yZilla. With Windows 8.1 now available to MSDN/TechNet, it seemed time to give it a try, as an experiment of sorts. This undertaking had its risks, given Lenovo's site hasn't been updated with any Windows 8.1 specific information or updates, and no updates or detailed info is likely, given the general availability of Windows 8.1 is October 17 2013. Turns out I'm not regretting diving in early, but getting things just right wasn't super easy either. Please note, this article is likely rather short lived, really intended just for those early adopters on MSDN/TechNet, who intentionally choose to dive in before October 17. It's based on having Windows 8.1 running on 2 Yogas from Oct 01 to Oct 13 2013. All of this is subject to change, especially if you're reading this after October 17 2013. 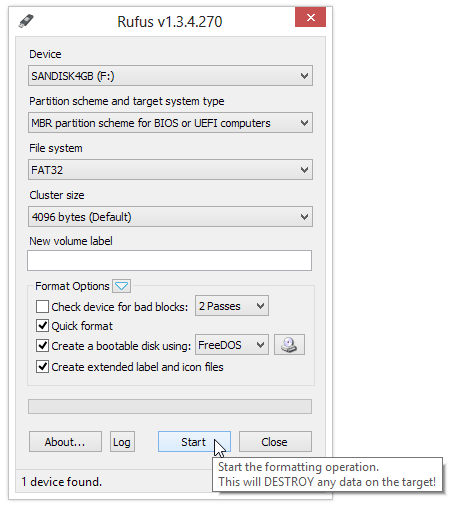 I used a USB 3.0 flash drive I created with Rufus as the upgrade source (Rufus explained in detail here), saving on precious C: drive SSD space. Could have just copied the contents of the install ISO over actually, since I didn't boot from it. It took about half an hour for the actual largely automated upgrade. I simply double-clicked the setup.exe on the USB 3.0 flash drive, and chose an upgrade install, keeping all my programs and settings. I then let it go, leaving it alone until done. But the clean-up after the upgrade took quite a bit longer. Took some notes during the cleanup. So with the benefit of hindsight, I present to you a summary of what'd seem likely to be the best approach for folks that are considering the upgrade now. This is no substitute for following along with any recommendations or procedures Lenovo comes up with at their own sites. If you upgrade and encounter issues, I cannot realistically support you in any meaningful way. Problems should get posted on the Lenovo Yoga Forum. This info I list below is really more like me sharing my "lab notes," and is certainly not a guarantee of success. That's on you, but Windows Home Server 2012 R2 Essentials would make a good choice. This step is important, if you're thinking about reducing your fan noise a bit. The upprade to 8.1 will work fine if you skip this step, but it's most sensible to do this first. Visit Drivers and software - IdeaPad Yoga 13 Notebook to download the May 01 2013 release version 55. It's all explained in this article, Yoga 13 - Fan Noise Question, with Rufus' ability to create DOS bootable USB drives real handy for this one. Clean up your C: drive to increase your available disk space. Your SSD drive will need >27GB free space on C: to upgrade from Windows 7 to Windows 8, here’s some clean-up tips by Paul Braren on Aug 14 2012. It's best to free up space before the upgrade, to keep your SSD running nicely. It's never good to run super low on disk space available. Your SSD drive will need >27GB free space on C: to upgrade from Windows 7 to Windows 8, here’s some clean-up tips by Paul Braren on Aug 14 2012. Follow along with the upgrade prompts. "Right-click on the Google Chrome icon on the desktop and choose "Properties". Select the "Compatibility" tab and check the "Disable display scaling on high DPI settings" checkbox. Apply the changes and click OK to close the properties dialog." Yes, this will stop automatic orientation from working for now, and make the tablet mode less usable. But it'll also avoid the possibility of some known issues, and buy you some time for Lenovo to release a new version actually meant for Windows 8.1 use.